The PIMag 6D is a design concept for multi-axis nanopositioning applications where the highest precision is required, e.g. in semiconductor processing and inspection systems. This novel precision positioning system is based on magnetic levitation: The completely passive platform levitates on a magnetic field, which actively positions and also guides it. Objects can be moved linearly or rotationally on a plane with a unprecedented guiding accuracy. With zero contact and no bearings there is no particle generation and the system is contamination free, ideal for clean rooms. 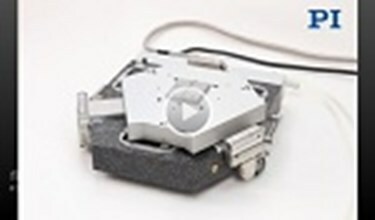 The video shows innovative and unique approaches for planar precision positioning applications.